I'm not sure if this weekend could have gone any faster. It was seriously over in the blink of an eye! But if I have to go back so soon, I'm glad I'm going back to some of my favorite units. 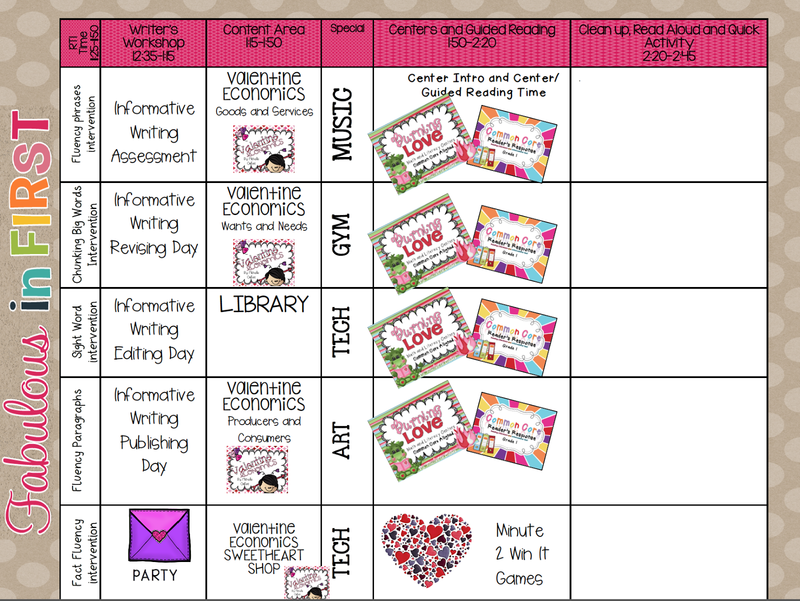 This week we'll be reading Love, Splat, learning about economics with a Valentine theme and reviewing lots of standards with our Valentine centers. I absolutely love learning about economics through this theme. I've been busy getting ready for our Sweetheart Shop! 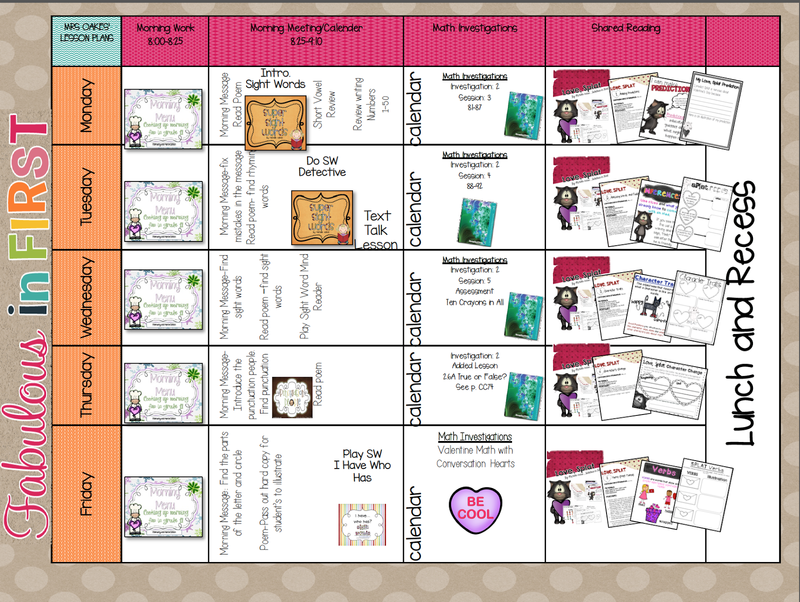 Click below to download these visual plans, then click the images in the plans to find the products and freebies. 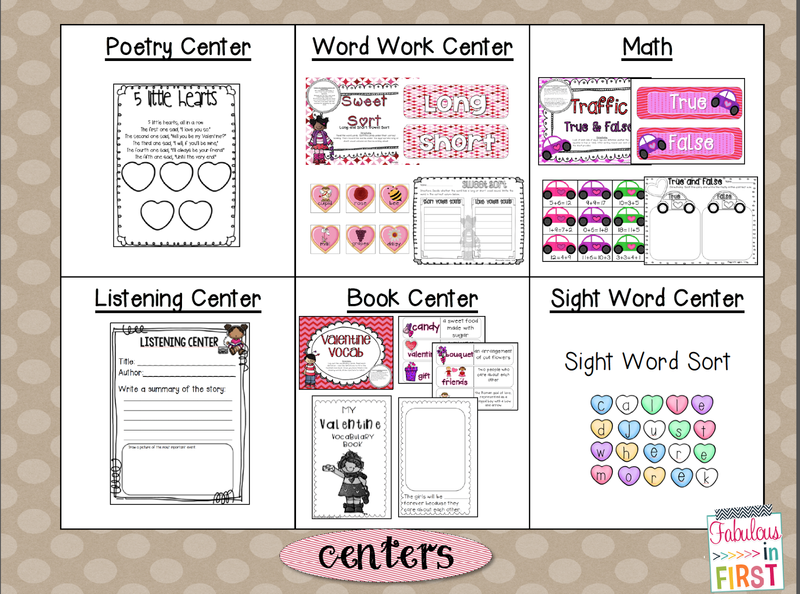 I also have some differentiated past tense word centers that are Valentine Themed on my Facebook page under my "Fan Freebies". Don't forget to check those out. 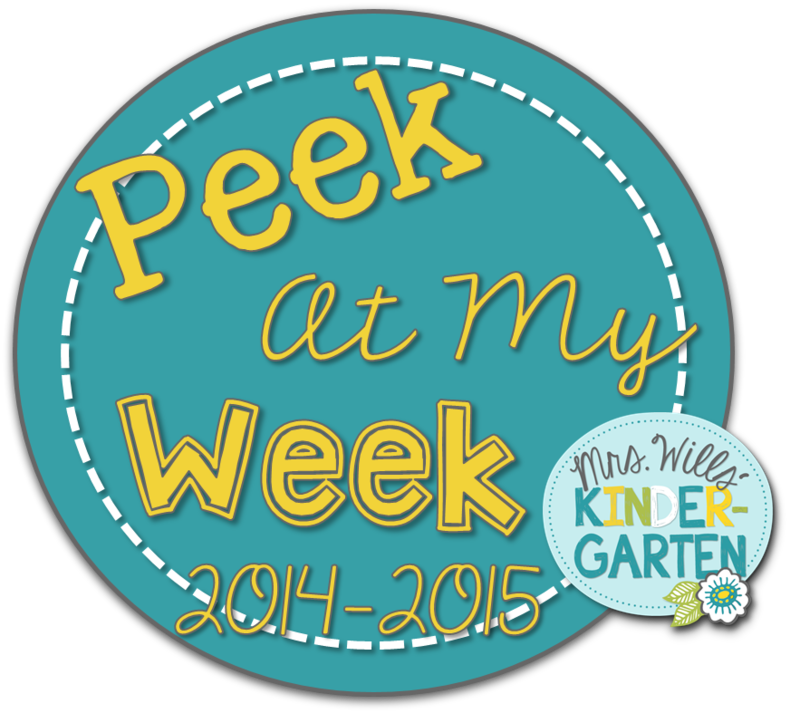 Hope you have a great week and your kiddos are sweet to you.